Kahan International's tube fillers fill products in cylindrical metal / laminate / plastic(seamless) tubes and close it absolutely safely and symmetrically. 4 models, in capacities ranging from 30 to 120 tubes / minute are available to meet today’s tube packaging demands. KI-ARTF40 is the automatic model with an output of 40 tubes per minute. 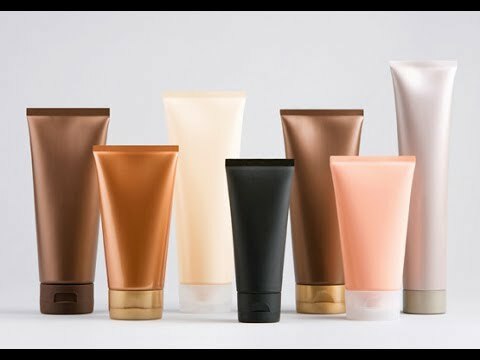 A variety of viscous and semi-viscous products are handled, like ointment, cosmetics, toothpaste, cream/gel, adhesive, chocolate, sealant, mayonnaise and many more. Quick, easy & efficient changeover is the leading attribute of the machines, which helps in responding to the faster-time-to-market age we live in. The optional equipment available with the machines adds to the versatility. Machines are designed and constructed by qualified engineers with good quality material and components which gives best quality output and least breakdowns. Machine as per cGMP standards. Delta/Omron/Schiender/Allen Bradely make HMI Touchscreen(7 inch size). Delta make PLC operated machine. All sensors are Omron make. All pneumatics are Pneumax/Festo make. All swithces are standard L&T make. 4 nos SS castor wheel. Drip proof Shut off nozzle. Camfield make Indexer for indexing system. 1 Hp Hindustan make motor. Leister(Swiss) make Hot air Gun for Laminated/Seamless tubes. Optional: Safety Cabinet with Polycarbonate Doors. Automatic Emergency stop of the machine in case of non ejection of the tube at ejection station. 3 Hp Motor, 5-6 kgf/cm2 with 9 cfm flowrate. I would like to enquire about Tube Filling Machine KI-ARTF40 .